Located in the heart of Tseung Kwan O, this 150 square foot pop-up booth is available to rent for your next pop-up store, sale or other promotional event. 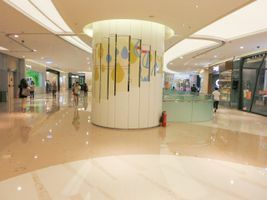 The space is located on the level 1 of a popular shopping mall. Despite not having windows, this space is well lit and ventilated. The monochrome design in white give the space a fresh and clean finish to suit all of your business event's needs. 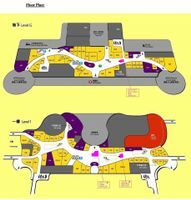 There are noise restrictions as the space is located within a shopping center; air conditioning and toilets are included. It is wheel-chair accessible and includes an elevator for easy load-in. It's really perfect spot for launching a pop-up store with high visibility due to the mall traffic already present.